Is non-compliance of slave laws acceptable if slavery is considered immoral? 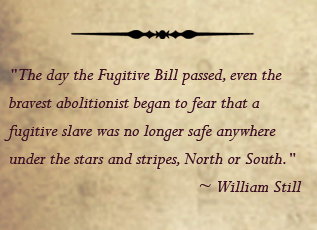 If you lived at the time of the Fugitive Slave Act, would you abide by or ignore the law? 1. Before the start of this lesson, place a poster sign on one side of the room that reads "AGREE" and a poster or sign on the other side of the room that reads "DISAGREE"
2. 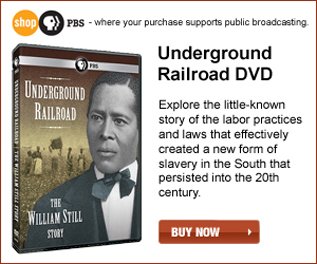 Watch the Underground Railroad: The William Still Story segments on the Fugitive Slave Act. 1. Students should have to say the Pledge of Allegiance. 2. Teachers can go into a student's locker at any time. 3. Metal detectors should be allowed at school entrances. 4. Students should not express their opinions in school. 4. Read the statements aloud, then allow students to move to the side of the room that represents their belief. Students can share their opinions on their decisions. 5. Students should go back to their seats. Have a class discussion about individual rights and freedoms. Discuss school rules, or "laws," and rules/laws of society. i. 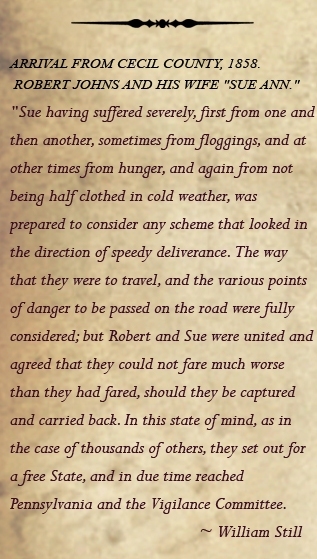 How do you feel about slave owners or bounty hunters traveling around the country hunting slaves? ii. 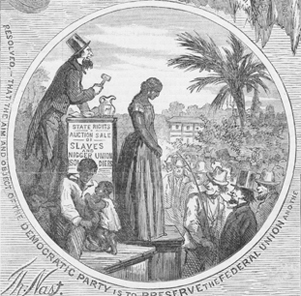 How do you feel about free blacks being captured and taken to the South to be enslaved? iii. Do you think you would have been a bounty hunter, sympathizer (abolitionist), or just stayed to yourself and abide the law? 7. 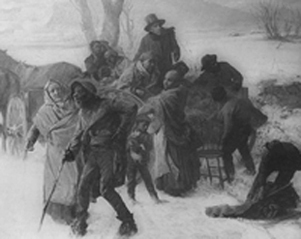 Ask students to once again choose "AGREE" or "DISAGREE" based on the Fugitive Slave Act. If students are not fairly evenly distributed, you may choose to move some students to the smaller group. 8. The "AGREE" and "DISAGREE" groups should assign a note taker for each group. Allow 10-15 minutes to come up with reasons why the group is for or against the Fugitive Slave Act. 9. Have a class discussion or debate based upon what the groups came up with. 10. Each student should choose what they think are the four most compelling facts for their arguments and write an essay. The students will participate in a class debate. The students will complete an essay describing compelling facts for their argument. Explain why each one of the following people must have been brave. Choose the one that you would MOST want to be and explain why. Choose the one you'd LEAST like to be and explain why. Click on the play button below to play the video. Program segment for PBS Learning Media. 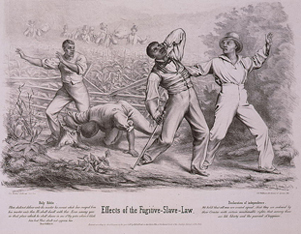 The Fugitive Slave Act was an attempt by the government to appease southern slave states.